and the people who made it come true! Marvin Lewis loved the "Spruce Goose". The giant seaplane built by Howard Hughes. So Marvin began to create a twelve foot flying model, on the pool table in his restaurant. Almost finished, Marvin passed away. Members of the Boulder, Colorado Aeromodeling Club took over the challenge, finished, and flew Marvin's passion. 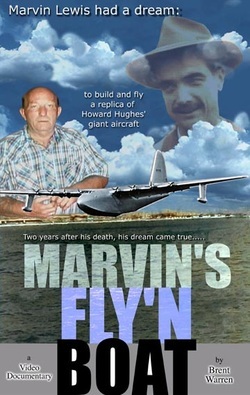 This documentary explores three obsessions: Howard Hughes, Marvin's, and the team of aeromodelers who devoted their time to make pieces of wood - fly. "I laughed, I cried, this story really moved me!"